Judge Dredd. Hollywood Pictures 1995. I expect this movie to be a lot like RoboCop. A police state dystopia set in the near future that is now both uncomfortably dated and also overly optimistic about technological advances. I’m not sure if Dredd is a satire or just a warning, but I know the point of him is that the degree of force he and other law enforcement are allowed to use is meant to be far beyond excessive. I don’t know if that carried through into the movie, or into fan understanding of the comic or the movie. Starship Troopers is mostly loved for the hyperviolence it was meant to be satirizing, and I wouldn’t be surprised if the same happened to Dredd. 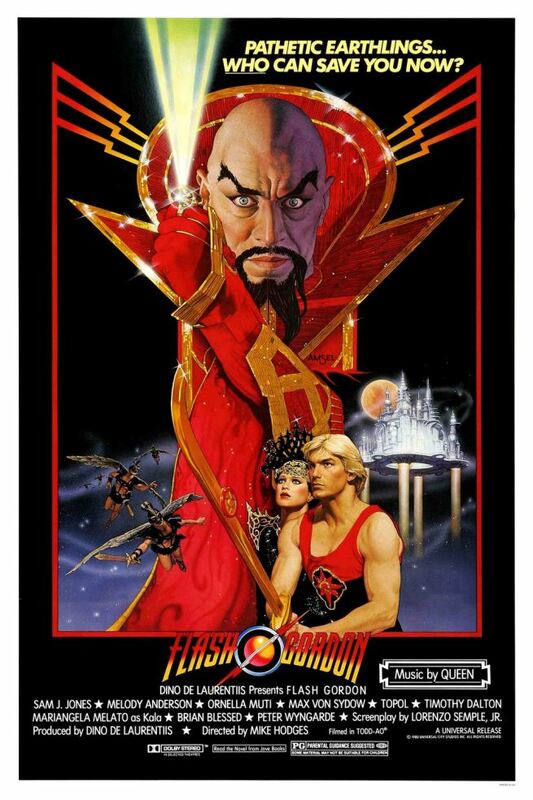 Flash Gordon. Starling Films 1980. I’ve been wanting to see this movie ever since I learned while reviewing Highlander that Queen did music for it. That is the biggest selling point of this movie for me, and will likely be the best thing about it, even if it does turn out to be an effective update of a campy adventure serial. I’m just not sure this sort of thing can be done seriously anymore. I was surprised to learn from the box that Flash is a football player. Some quick research showed that in the original comics, he was a polo player, so that’s not a big change. I never picked up on him being an athlete. I should probably invest more time in familiarizing myself with source material. 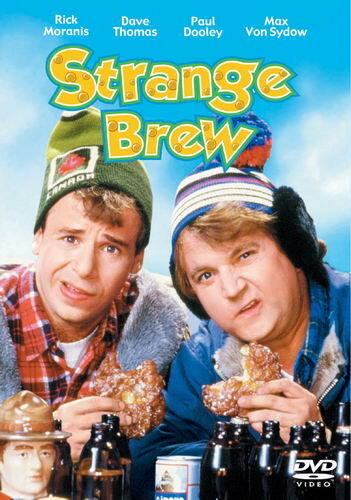 Strange Brew. Metro Goldwyn-Meyer 1983. I don’t think I’ve seen any of Second City. As far as I know, SCTV never aired in either area I’ve lived in. I’ve only heard of Bob and Doug McKenzie through one or two audio tracks on Doctor Demento albums. I was surprised to find out that the not-Rick Moranis McKenzie brother is played by Dave Thomas (no, not the Wendy’s guy), whom I’ve seen on The Red Green Show. He looks more like Andy Richter in this picture. I’m hoping this will be pretty light comedy, apparently with parallels to Hamlet, so there’s some intelligence to it. I’ll probably get back to my usual array of genres next week.